Jack Baker, is the first family member from the Baker family that you'll have to defeat and in this feature, we aim to provide you with all the tips and tricks you need to defeat the Resident Evil 7 boss. 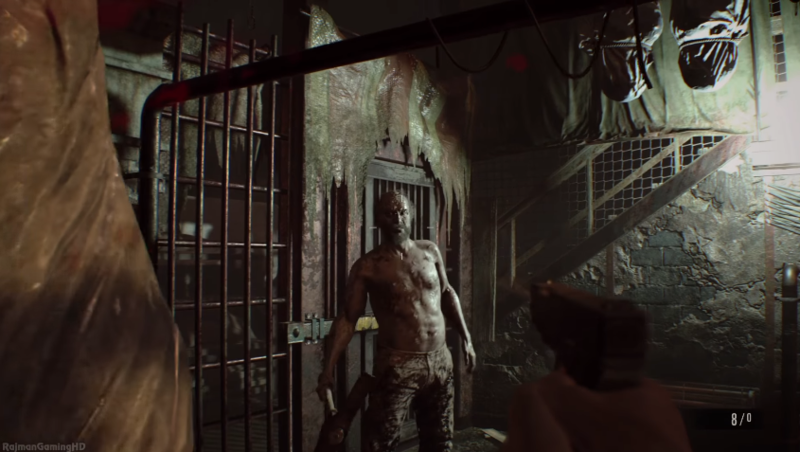 There will be 3 main scenarios where you'll meet Jack Baker and have to defeat him, but if you encounter him at any other time in Resident Evil 7, you can run away. The first boss fight scenario is in the garage and the easiest way to defeat Jack Baker is to use your pistol, the G17 handgun. The handgun will always be your most effective tool against Jack as a shot in the head will temporarily stun him. As a side tip; you can also shoot Jack in the head if you've encountered him at points that are not the boss fights to run away. The ultimate goal in the garage is to find the key to the car, get in the car and run Jack Baker over, the key will be located on the workbench across from the driver’s door of the car. After you've picked it up, proceed by shooting Jack in the head with several bullets to stun him because you want to prevent him from pulling you from the car before you're able to start the engine. Once Jack's stunned, enter the car and run him over multiple times. After you've ran Jack over multiple times, he will seemingly disappear, but a few seconds later will be on the roof of your car. The rest of the boss fight is not player controlled and at this point, the boss fight is completed. Jack will eventually "take you for a ride" by making the car go straight into a bunch of falling beams, which will kill him. The second boss fight occurs when Jack Baker pushes you into a deep pit after you attempt to pick up one of the metal dog heads. The second boss fight against Jack Baker is arguably the hardest boss fight you'll have to face, so be patient and you'll defeat him in no time. The first objective is to shoot his eyes, you can do this easily by finding the perfect opportunity to kick one of the body bags into him, which will stun him. Whilst he's stunned, shoot him with your pistol. You should keep repeating the process until Jack makes his way to a cage and picks up a chainsaw, during this point, stay near Jack as he can't hurt you and also pick up a chainsaw. In this second part of the boss fight, Jack will be a lot fast and take more damage, so it's crucial that you once again use the bodies to stun him so you can effectively deal damage. In addition, you'll also want to use your guard function when needed to deflect his attack which will cause him to be stunned and allow you to use your chainsaw on him. 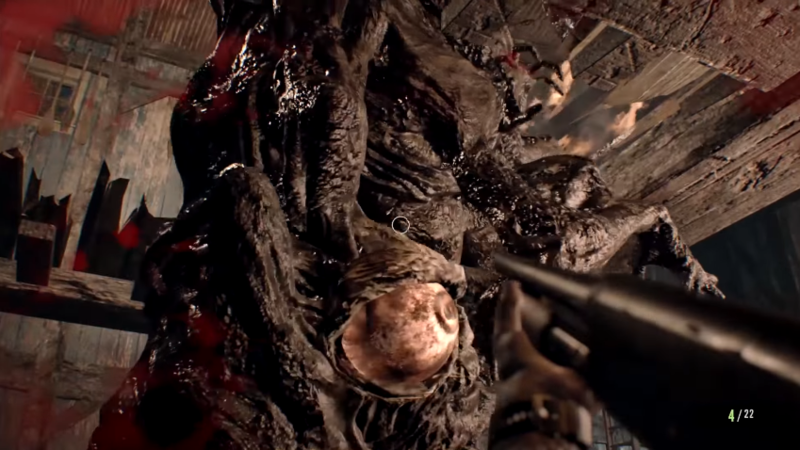 Eventually, Jack Baker will fall to the ground and his back will mutate, during this stage you want to continuously use your chainsaw on the mutation. 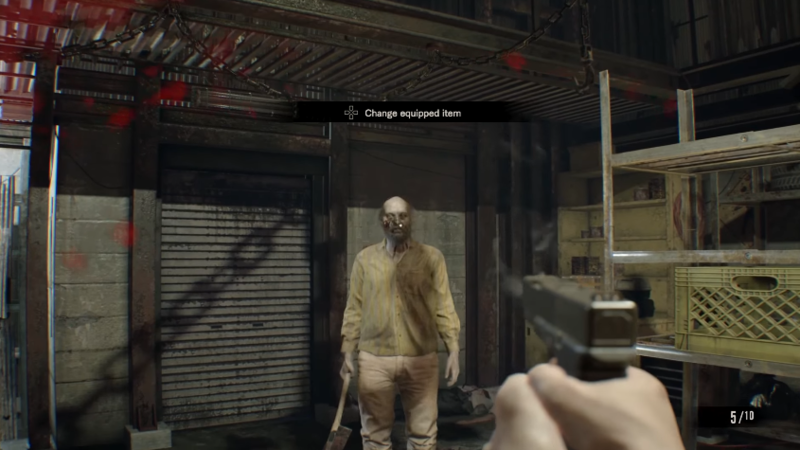 Jack will shoot stand up and be healed again, so you need to repeat the process between two and four times until you saw all the way through his torso to defeat him. The last fight with Jack might seem much harder because he's now a massive mutant, but it's much easier than the second fight if you have the right tips. First, the goal is to shoot both of Jack's eyes, which will only take 1 shotgun shell. After you've shot both of Jack's main eyes, you'll then have to process by shooting all of the other eyes scattered around his body. One shotgun shell will defeat an eye whilst aiming down sights, so ensure that you take your shots carefully and at the right time. Jack's attacks are pretty easy to avoid, so just move around the floor area as much as possible to prevent him from attacking you. If you are running low on ammo, destroy some boxes around the boss fight area to get more as well as other items. As soon as you destroy all of Jack's eyes, he will drop down to a lower level and regenerate his main eye on his head, which you'll need to destroy once again. This time it takes 2 or 3 shotguns shells to destroy Jack Baker’s final eye so make sure to aim before shooting. When you've destroyed the last eye, it will look like Jack Baker is finally dead, but when you try to walk out of the door he'll grab you. When Jack grabs you, use the button prompt to inject Jack with the serum and watch him finally die for the third and final time. That is how to defeat Jack baker in Resident Evil 7, stay tuned for more Resident Evil 7 guides coming soon.